Data Transfer rate up to 450-Mb With Compatible devices. Cable length. 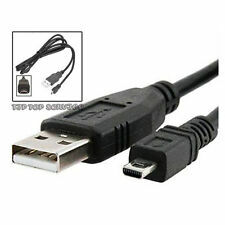 JUST LINK THE USB CABLE TO YOUR PC OR LAPTOP, PC AND YOU WILL BE ABLE TO TRANSFER ERROR-FREE DATA TO YOUR LAPTOP / PC. THIS USB CABLE WILL GIVE YOU, ULTRA FAST AND TOP PERFORMANCE DATA TRANSFERS RATE. 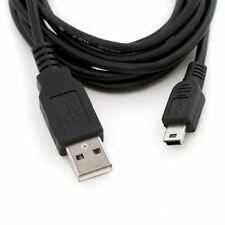 Just connect the USB cable to your PC / Laptop and you will be able to transfer error-Free. This cable give you the ability To transfer your Pictures or Video to your Computer. And ultra fast Data Transfer. Pocketwizard Pre-Trigger Cable. Pocketwizard to Vivitar Pocketwizard to PC Male. POCKETWIZARD COMPATIBILITY. Canon N3 Connection Plug. Motor Cord. NOT for use with DCS Pro SLR/c. For PlusX, Plus III, MultiMAX with -ACC port, or FlexTT5 radios, use a CM-N3-ACC cable. Ft 2, FZ100, FZ15, FZ150, FZ20, FZ200, FZ30, FZ50, FZ300, FZ330, FZ1000, FZ2000, FZ2500. 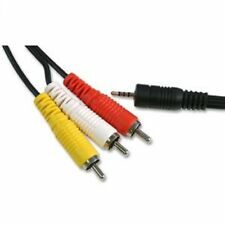 Pixel CL-RS1 connecting cable is designed to use with a wide range of Pixel products. G1, G10, G2, G3, G5, GF1, GH1, GH2, GH3, GH4, GH4A, GH5, G6, GX1, L1, L10, LC1, TS2. It's easy to use and just needs to be plugged into any USB port on a computer or notebook simple. Garmin Accessories. Fitbit Accessories. SmartPhone Accessories. 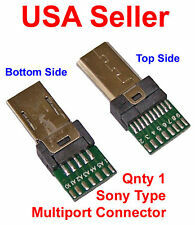 Pixel TF-336 hot shoe adapter is used for converting old Sony hot shoe to new Sony MI shoe. It can trigger flash and studio light with 3.5mm PC port. Pixel TF-336 Hot shoe Converter x 1. Converting Sony standard hot shoe to Sony M.I hot shoe. QUALITY USB cable DATA. the usb cable to your PC OR Laptop. Theusb Data Cable gives you the ability to transfer YOUR pictures, video or update your DEVICE JUST link. TRANSFER lead. and you will be able to transfer your data, update the latest software. HQRP trademarked products. JVC Everio GR-D350U / GR-D350US / GR-D360E / GR-D370 / GR-D370U. South Korea. This warranty is not transferable. No Problems! No problems, works fine, A . New Zealand and. Main features: 1. The max length is 19mm and the max width is 16mm, which applicable to all kinds of devices that has a 1/4" thread. The max length is 19mm and the max width is 16mm, which applicable to all kinds of devices that has a 1/4" thread. A7, A7 II, A7 III, A7R, A7R II, A7R III, A7S, A7S II, A7S III. A6500, A6300, A6000, A5100, A5000, A3000. A9, A99 II, A58, A68, RX10, RX10 II, RX10 III, RX10 IV. Pixel CL-S2 connecting cable is designed to use with a wide range of Pixel products. D600, D610 D750, D7000, D7100, D7200, D7500, D90, Df. Product model: Connect Cable M.
1x Micro USB Cable. Battery capacity: 3.7V / 1200mAh. Golocal24-7 specialise in providing accessories and repair parts for a wide, and high quality, range of gadgets. Color: Black. Material: ABS. Add to Favourites. 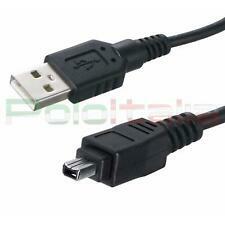 High Speed USB 2.0 Data/Lead Cable. 5.Twisted-Pair construction to ensure high-speed, error-free data transfer. When charging is completed, the light will turn Green. Light and easy to carry. Compatible With Fuji: FinePix F20,F30,F31FD,F40FD,F460,F470,F50fd,J15FD,J20,J25,J30,J38,J50,J250,Z10fd,Z20fd,Z30,Z33WP,S700,S8000FD;Konica Minolta: A200;DiMage E323,E500;DiMage X50,X60; DiMage Z10,Z20,Z3,Z5,Z6; Dynax 5D,Dynax 7D,Maxxum 5D,Maxxum 7D. Nikon: CoolPix 2100,2200,3100,3200,3700,4100,4200,4600,4800,5200,5600,5900,7600,7900,8400,8800,L1,L10,L100,L11,L12,L14,L15,L16,L18,L19,L2,L20,L3,L4,L5,L6,P1,P2,P3,P4,P50,P5000,P5100,P60,P6000,P80,P90,S10,S1000pj,S200,S200di,S210,S220,S230,S4,S5,S500,S510,S520,S560,S570,S600,S620,S630,S640,S70,S710,S9;D5000.Olympus:FE-3010,FE3000,FE-4000,FE-4010,FE-5000,FE-5020,FE-360,FE-370,FE-150,FE-160,FE-320,FE20,FE25,FE26,FE45,FE46,FE-180,FE-190,FE-220,FE-230,FE-240,FE-250,FE-280,FE-290,FE-300,FE-310,FE-340,FE-350,FE-5010;mju. Provide your Handycam Camcorder with continuous power with the HQRP. HQRP trademarked products. Compatible with following Sony Handycam Models ® Portable AC Adaptor. Safety Features South Korea. USB Cable, Type A to Mini 5-Pin Type B - 3.5 FT / 1 M.
Provide your Handycam Camcorder with continuous power with the HQRP. HQRP trademarked products. AC Power Adapter compatible with Sony Handycam. Compatible with following Sony Handycam Models ® Portable Handycam AC Adaptor. 1x Micro USB Cable. Battery capacity: 3.7V / 1200mAh. Golocal24-7 specialise in providing accessories and repair parts for a wide, and high quality, range of gadgets. Color: Black. Add to Favourites. 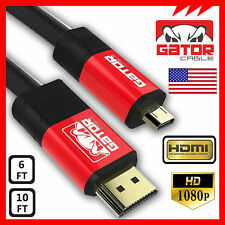 This High quality 8 Pin Usb cable is used for connecting your digital Camera to your computer to download pictures, movies etc. 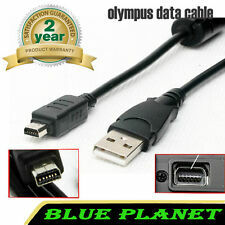 JUST LINK THE USB CABLE TO YOUR PC OR LAPTOP, PC AND YOU WILL BE ABLE TO TRANSFER ERROR-FREE DATA TO YOUR LAPTOP / PC. THIS USB CABLE GIVES YOU THE ABILITY TO TRANSFER YOUR PICTURES, VIDEO. THIS USB CABLE WILL GIVE YOU, ULTRA FAST AND TOP PERFORMANCE DATA TRANSFERS RATE. A100 / A200 / A300 / A310 / A400 / A410 / A500 / A510 / A520 A530 / A540 / A590 / A700 /A720 /SX100 IS /E1. A500, A510, A520, A530, A540, A550 , A560, A590 IS. A400, A410, A420, A430, A460, A470, A480. EasyShare Z612 / Z650 / Z700 / Z710 / Z730 / Z712 IS. Kodak EasyShare Z612 / Z650 / Z700 / Z710 / Z730 / Z712 IS. HQRP trademarked products. 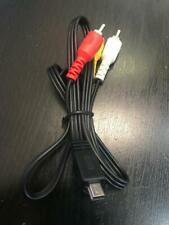 USB Data Cable Cord compatible with Kodak. 100% Compatible with Original USB Cable! It has 1 x 1/4" thread and 1 x 3/8" thread. It can fit ballheads, quick release plates and flash holders with 1/4" or 3/8" screw. It has 1 x 1/4" thread and 1 x 3/8" thread. HQRP trademarked products. AC Power Adapter compatible with Sony AC-L10A, AC-L10B, AC-L10C. 100% Compatible with Original AC Power Adapter;. - Sony AC-L10A, AC-L10B, AC-L10C, AC-L15, AC-L15B. Safety Features. Our USB cable transfers your most important data quickly and reliably. Connector 2: USB A (Standard USB). Connector 1: Mini USB. ✔ Compatible with previous USB Versions. ✔ Modern technology and with high transmission speed.